100 LIVES: Why do you think the media covered different acts of Genocide in the 20th century differently? Take Cambodia, for example: we have almost forgotten about the massacres that took place in this country. But everyone remembers the Genocide in Rwanda: last year, there were many ceremonies dedicated to the 20th anniversary of those events. P.K. : International criminal practice has defined only two instances of large-scale massacres as “Genocide” — the Tutsi killings in Rwanda and the carnage at Srebrenica in Bosnia and Herzegovina. I don’t think there are specific differences in the way that the media describes the acts of Genocide, although I have to admit that the Cambodian story seems further away from us, in all senses of this word. But I will repeat myself — I think that in this case, it’s premature to speak of Genocide. If we are using this notion, let us ask ourselves: which of the known Genocides were acknowledged as such de facto and de jure? Today, the mass killings carried out in Cambodia by the Red Khmer squads are the subject of a trial. The defendants’ bench is filled with actual perpetrators of the crimes. 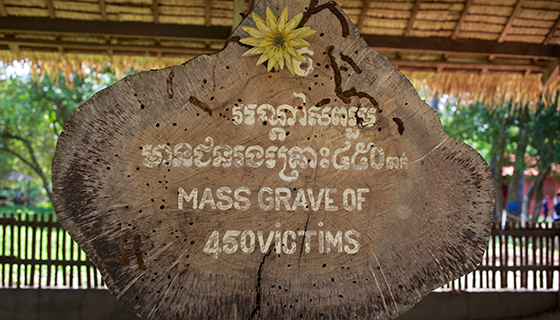 The investigation is carried out by special chambers of Cambodian courts. Their task is to judge the crimes and to punish the organizers and perpetrators. The Red Khmers killed Cambodians for their family background or political views. This type of crime is unlikely to be acknowledged as Genocide, as such motives are not mentioned in the commonly accepted definition from 1948 (according to this definition, the only acts considered Genocide are acts done with the intention of wiping out, in full or in part, a certain national, ethnic, racial or religious group). Therefore, most likely, the only killings to be acknowledged as acts of Genocide in Cambodia will be the killings of the Vietnamese minority. At the same time, whenever the media writes about other instances of mass killings, it unfailingly brings up the most terrible of all evil deeds in history, the Holocaust. Despite its scale, this event was never officially recognized as Genocide. 100 LIVES: What kind of mechanisms for preventing mass crimes does current international law allow for? If a state violates the norm, it will be held responsible for the internationally unlawful act. If in the course of agreement negotiations or court procedures we learn that a certain state contravened this provision, and this was officially documented, then any other state, even if it wasn’t directly involved in the Genocide process as a participant or as a victim, can ask the International court to hold the violating state accountable. 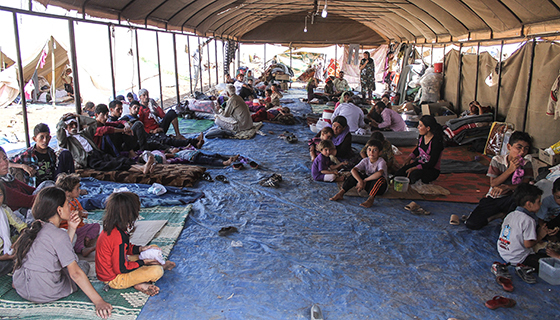 100 LIVES: Can we call the violence against the Yazidis in the Sinjar Mountains in 2014 “Genocide” and a “crime against humanity”? P.K. : In order to answer this question we have to complete some formal procedures: carry out an international investigation, collect the evidence, question the witnesses and so on. All of this is requisite to bring in the indictment. Then the state prosecutor or the prosecutor of the International Criminal Court will have to initiate the proceedings. Only a court of law can qualify these crimes. 100 LIVES: What is the role Armenian diplomacy plays on the multilateral level when it comes to protecting the oppressed minorities of the Middle East, and what does it do to prevent mass killings? P.K. : In the case of the tragic situation that the Yazidis find themselves in in Iraq (and Christians in the Middle East as a whole), Armenia was able to have its say. In honor of the centennial anniversary of this tragedy the whole of Armenian government, particularly its diplomats, took special pains (that didn’t go unnoticed) to make sure that the UN Human Rights Council adopted a resolution to strengthen Genocide prevention measures. This resolution was adopted on March 23, 2015, unanimously, without a vote. This followed some very tough political negotiations between the West and third countries — Cuba, Russia and Pakistan. These states found the initial draft of the resolution unacceptable because it described a rather controversial concept — the right to protect. This could be interpreted as permission for some countries to interfere in the process if others failed to fulfill their obligations and prevent the crimes. There was no preliminary submission of this resolution to the General Assembly. This means that its provisions are not legally binding and do not have a normative nature. 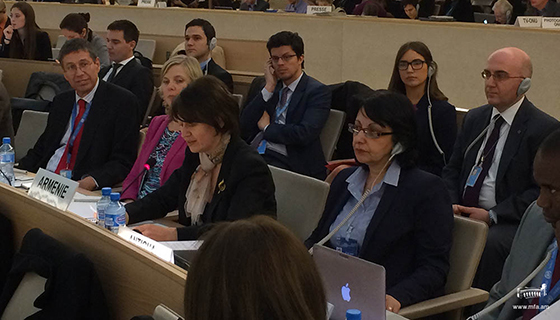 Nonetheless, the most significant thing about this text is something else: one of the preamble’s provisions states that official denial of the Holocaust and attempts to justify the crimes of Genocide undermine the fight against impunity and obstruct the processes of reconciliation and the efforts to prevent Genocide. 100 LIVES: What is the significance of Armenian Genocide Centennial in this context? P.K. : In 2015 the Genocide of Armenians (whose historical and political reality has been acknowledged and cannot be denied, although the legal qualification is still forthcoming) received widespread media coverage. As for the events that took place in Armenia proper, I would note that four heads of states, two of which are members of the UN Security Council, attended the commemoration ceremony on April 24. That’s not bad. But considering the nature of this event and the significance it has for humanity as a whole at a time when similar crimes are taking place, it’s difficult to refrain from some disappointing conclusions. We are clearly seeing a gap between actions and words: the states announce their intentions, but show no real zeal or sensitivity toward the problem of impunity. Far from all leaders of states affected by the Armenian Genocide came to Yerevan. Take, for example, Great Britain. As you remember, back on May 24, 1915, it signed, together with Russia and France, a famous political declaration. Thanks to Great Britain, following World War I 120 Young Turks guilty of mass murders were imprisoned in Malta. Or the United States, which played a very important role in the design of the Treaty of Sèvres while the war was still going on. U.S. President Woodrow Wilson got personally involved in Armenia’s fate by making a number of arbitration decisions. These countries preferred to watch the commemoration event in Yerevan from the sidelines.